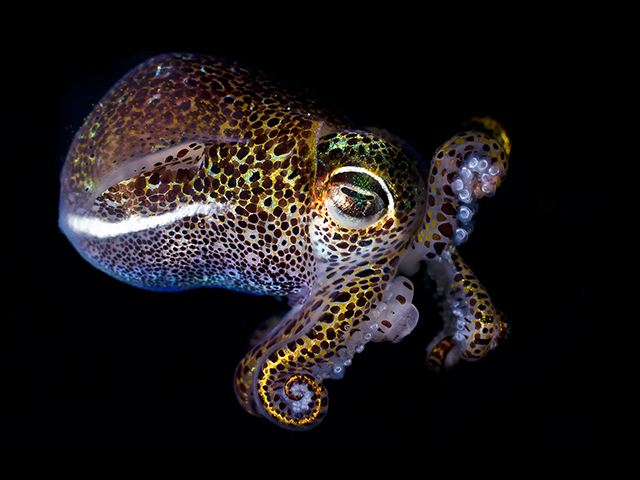 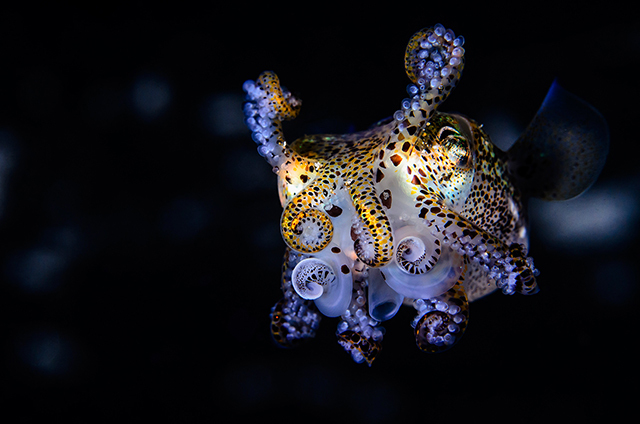 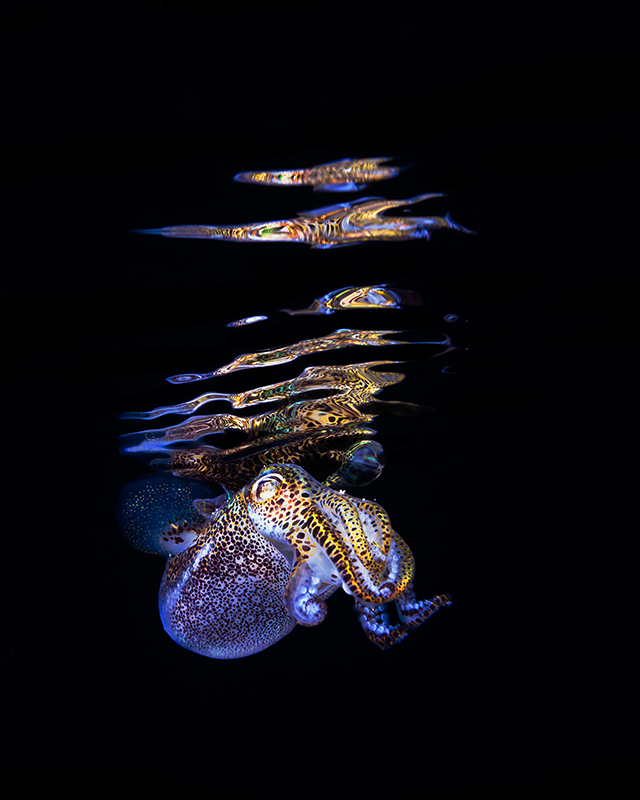 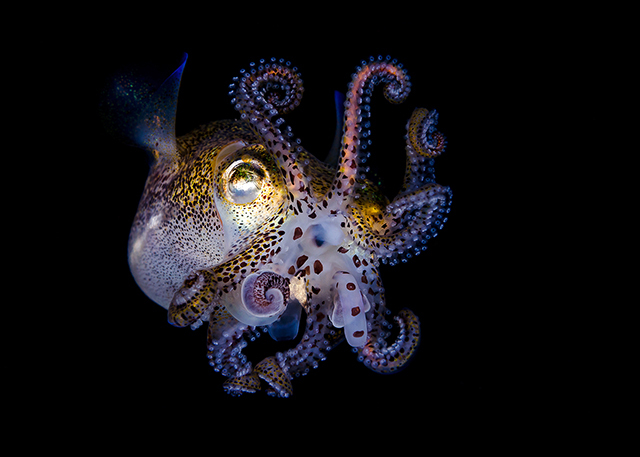 Todd Bretl's astonishing underwater images of the bobtail squid come from years of practice. 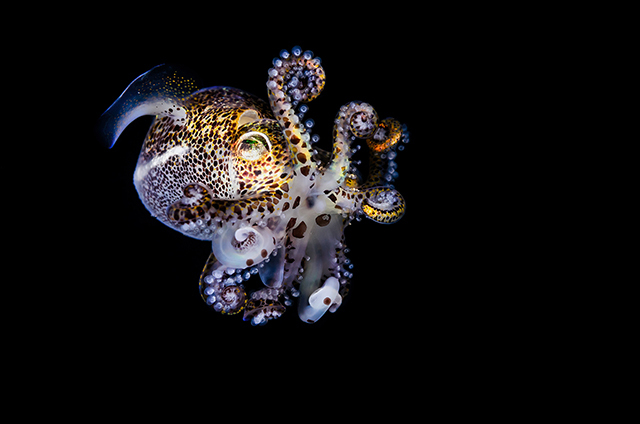 Bretl has been diving since the age of 12, and shooting underwater since 2008. 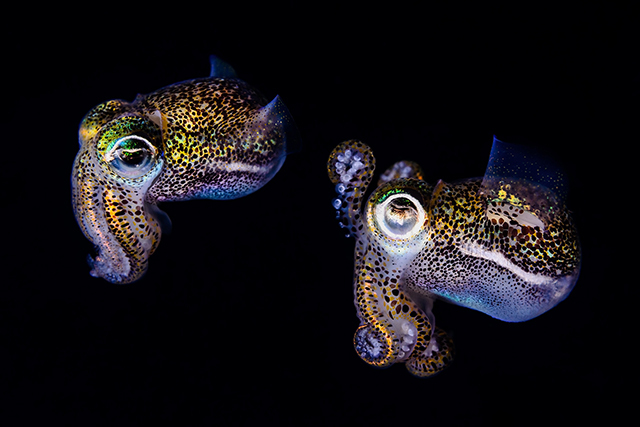 The bobtail squid is a particularly good subject for a light-hungry photographer; the cephalopod possesses bioluminescent bacteria on its underbelly that react to the light hitting the top of its mantle. 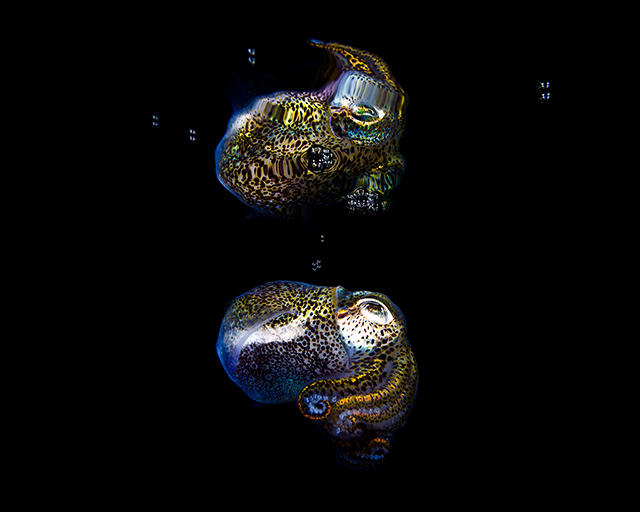 At about two inches long, the bobtail squid is surprisingly small. 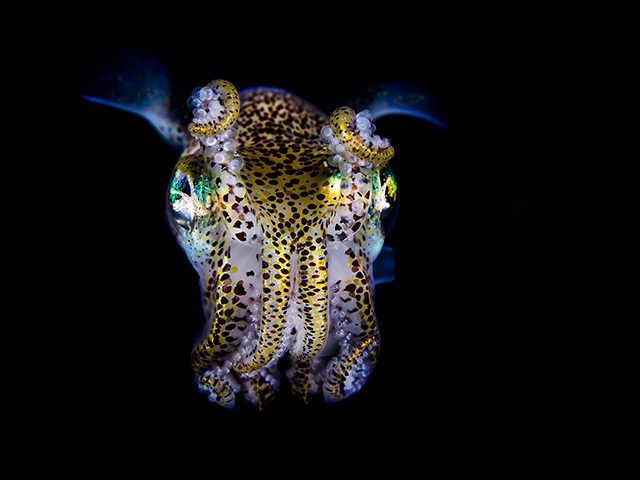 But as Bretl's photos show, it's a large (and luminous) presence underwater. 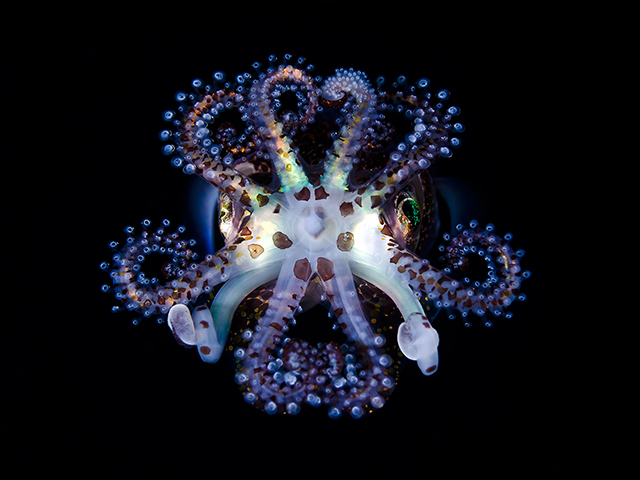 See more featured photography curated by ABC News' photo editors at Picture This, the ABC News photography blog.